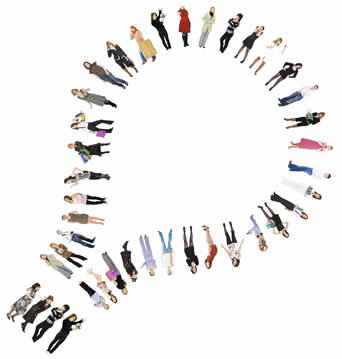 A key strength of the Club of Notes is the ongoing deployment of its international network in the creation and development of innovative new products and product applications. The Club innovates in 2 ways. One, within the print production companies represented by its membership and the collaboration between the membership as a whole. And two, via a project based relationship working with young minds in internationally recognised universities specialising in business studies and project design. Both are managed by the Club’s Innovation Team. If the innovation programme only provided us with 1 result, it would be that the innovation process is capable of delivering valuable new developments in the creation of products and the use of existing ones in new applications. For example, these two recent examples from the programme in the opposite column. Pocket Notes were the creation of Sylwester Szymanski, a student at the University of Arts in Poznan, Poland. 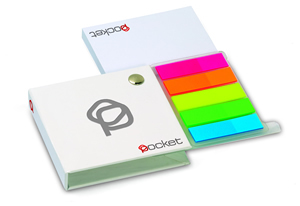 Through his project, Sylwester discovered the requirement for a printed sticky note and marker set to be packaged and presented in such a way that it could be conveniently used on the move. The result you see here, which is now in production and available through Club of Notes members. This innovative product application was created by a team from the ESCE International Business School in Paris, led by Sophie Leang. 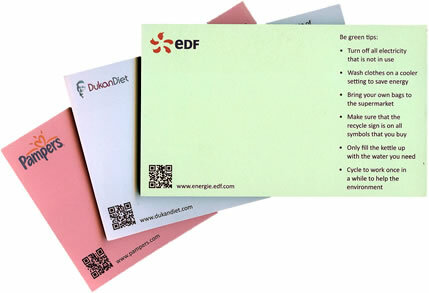 What Sophie and her team realised was the unique capability of sticky notes to carry a varied set of conventional printed tips of information, together with printed links to electronic sources of information. The result was Sticky Tips, examples of which were created for the energy, diet foods and diapers market.